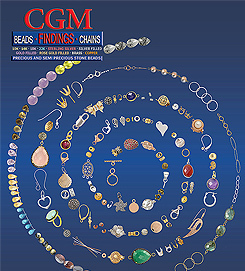 For 30 years CGM has been selling jewelry findings worldwide - wholesale to the jewelry industry. CGM Findings is one of the leading companies in jewelry findings. We have the best quality, lowest priced, wholesale jewelry findings with the largest selection. We stock over 16,000 items in inventory to meet your exact jewelry production needs. We have been dealing with businesses in the jewelry trade for 30 years. We take your orders seriously. People depend on our products and services. We ship many orders daily to United States and most countries Worldwide. or order directly from our website. We offer fast shipping, outstanding customer service, with a huge selection on everything from Jewelry Findings, Wholesale Beads, Books, and Tools. Our goal is to provide you with the lowest cost, highest quality jewelry findings and wholesale gemstone beads in the U.S., with service and support you need to run productively. 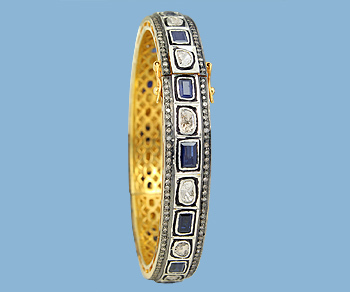 Register for an online account today and get the best price on quality jewelry findings. Start combining, getting creative and creating fine jewelry today with CGM. At CGM we carry metal stock, sizing stock, solders, tubing and other items jewelers use on a day-to-day basis. Almost all findings are available in some form or another in all of the commonly used jewelry metals: copper, brass, argentium, sterling silver, and karat gold's, including rose gold, gold filled and silver filled. 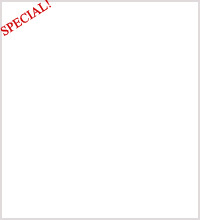 We offer over 36 catalog pages of Sterling Silver findings alone! 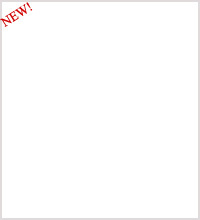 So many items to list. Just to give some kind of a magnitude of all the items we carry you can visit our Site Map page! In addition there are thousands of miscellaneous findings we carry, such as tuxedo stud findings, letters of the alphabet, cluster settings of all sorts, metal beads and balls, stringing supplies and a wide variety of parts that the jeweler may find useful. Settings for stone setting, clasps, ear wires, wedding bands, ring shanks and simple engagement rings of all sorts and sizes. Bails, loops and jump rings, which can be simple or complex parts for hanging pendants, charms and other such items. Pin stems and brooch assemblies, used for making pins and brooches. We understand your Jewelry Business needs and the Jewelry Industry. If your serious about your jewelry business, we're serious about you supplying jewelry components to meet your needs. Everything ships from one location. We are located in the U.S.A.
We offer a FREE 96 page full color catalog with actual size photos which make it easy to order our findings at any time by stock number. We offer FREE UPS Ground shipping on any online orders over $200. 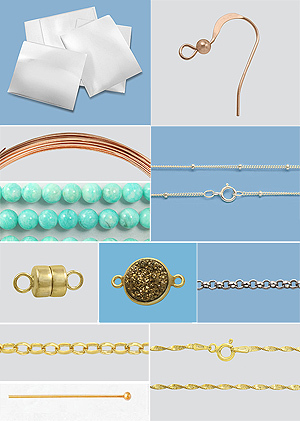 including Wire, Silver or Gold Sheets, All Chain, jump rings, headpins, and all commonly used items. 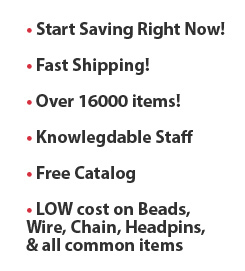 Save Big overall on all jewelry findings you use, including beads, with no sales tax and fast shipping. 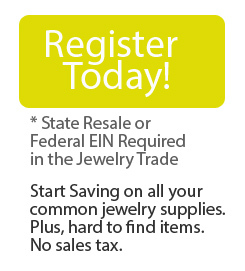 In order to open an account we require a resale number (Resellers Permit) or federal EIN number, which is common for those in the jewelry trade, in order to receive jewelry supplies without tax, and get a free catalog sent out to you. * For more information regarding a State Resale number visit your State Board of Equalization.